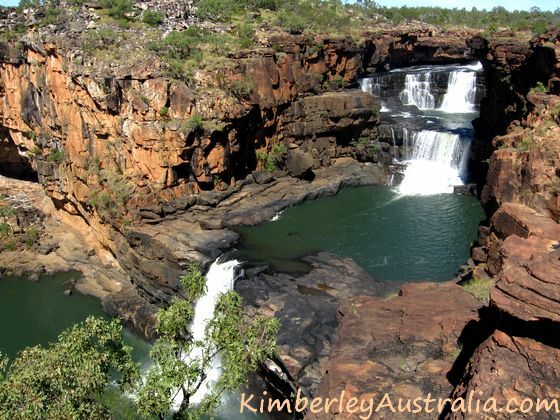 Some of the Kimberley National Parks are world famous, others you probably never heard of. Some are very easy to reach, some are as remote as it gets. Purnululu is also known as the Bungle Bungles National Park, and it is by far the most famous of all Kimberley national parks. It was only discovered not so long ago, 1983 to be precise. And it sky rocketed to world fame in no time. Which is probably why many people don't bother and just choose a quick helicopter flight over the Bungles instead. I guess that's still better than not seeing it at all. I've done both: I flew over it many years ago, and I finally visited for the first time in 2006. I wish I had done so sooner. Take the time, it's worth it. You can camp inside the park and I recommend to spend at least one night here. 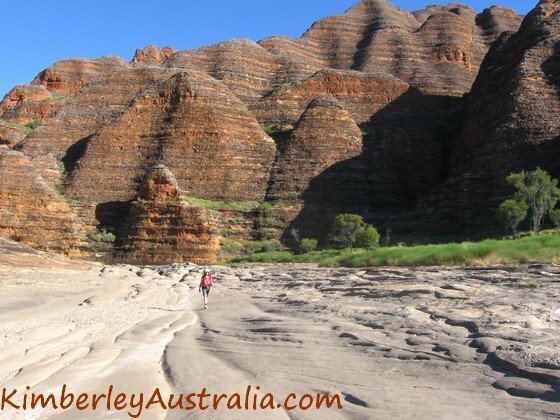 The Bungle Bungles are definitely on my "must see" list for the Kimberley. 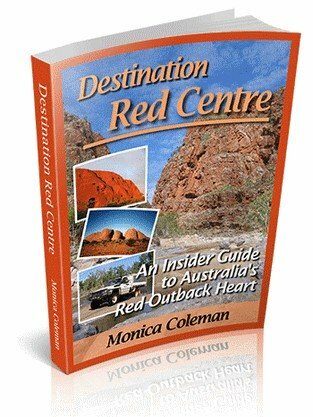 You can find all the information you need here: Purnululu National Park/Bungle Bungles. 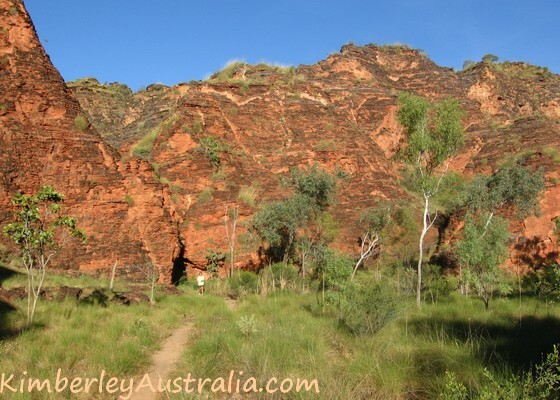 Geikie Gorge is one of the most easily accessible national parks in the Kimberleys. It is only a few kilometres from Fitzroy Crossing and the road into the park is fully sealed. You will only need a few hours to explore everything the park has to offer. The bleached cliffs of the gorge are very pretty, great for photography. But, to be honest with you, the national park doesn't do much for me. Windjana Gorge is probably the best place in the whole Kimberley to see freshwater crocodiles in their natural environment. Every time I went I saw dozens of them, no matter what time of the year. The gorge itself is quite impressive too, 3.5 km long (you can walk most of it) and with towering walls on both sides. Windjana Gorge requires only a few hours of your time, but it is a bit further from civilisation than Geikie Gorge. So it's handy that it has a campground. However, you can also easily visit it in a day trip from Fitzroy Crossing or Derby, you just have to get up early. Find out more about Windjana Gorge National Park. Half way along the tunnel a collapsed roof section lets some light in. 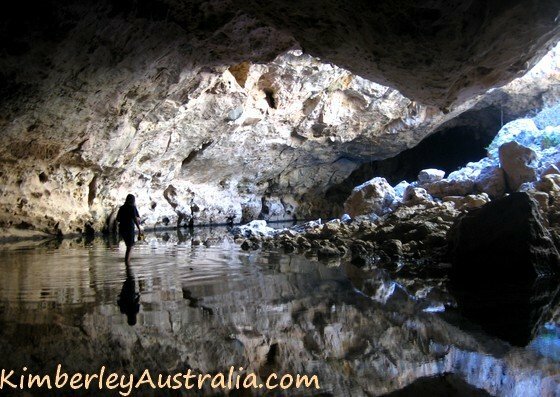 Tunnel Creek is another national park that made it on my personal "Best Of The Kimberley" list. Yes, it is what the name makes you think it is, a creek that runs through a tunnel under the rock. You can follow it all the way to the other end! For adventurous people only. 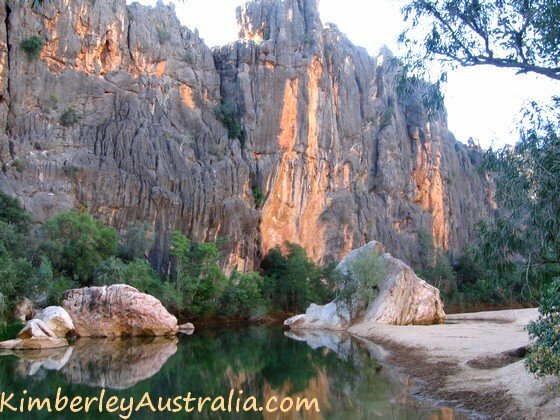 Tunnel Creek is only a few kilometres from Windjana Gorge and you can easily visit both parks in one day, especially if camp at Windjana Gorge. If you don't want to camp it'll be a long day, but it can still be done. 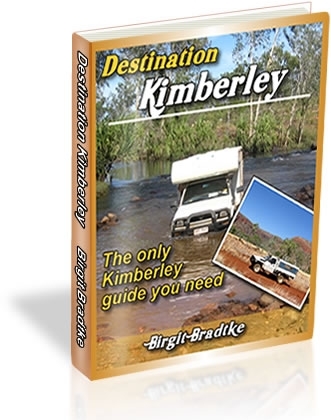 You can spend the nights before and after at either Derby or Fitzroy Crossing. Read more about Tunnel Creek National Park. 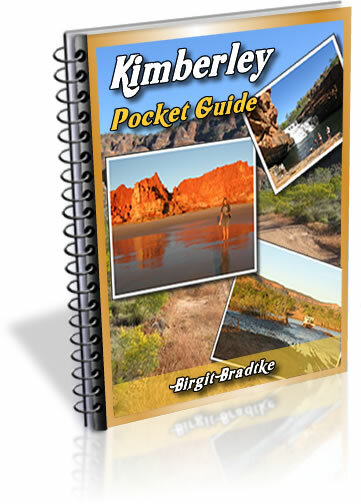 Now the big meteorite crater is the most popular of all Kimberley National Parks. The Mitchell Plateau is my number one out of all Kimberley national parks. Yes, even before the Bungle Bungles. And although (or because?) it's even harder to get to. The Mitchell River National Park is over a day's drive from Kununurra, and only the first hour of the drive is on bitumen. The drive can be challenging for inexperienced drivers, especially at the start of the dry season. The only accommodation option in or anywhere near the park is bush camping and there are no showers. This is a real bush adventure, and that's why I like it. If all that doesn't sound like your cup of tea don't despair. There are of course tours and scenic flights. And there is a lot more to do than to walk or helicopter to the main waterfall and take a picture! You should spend at least one full day up here. 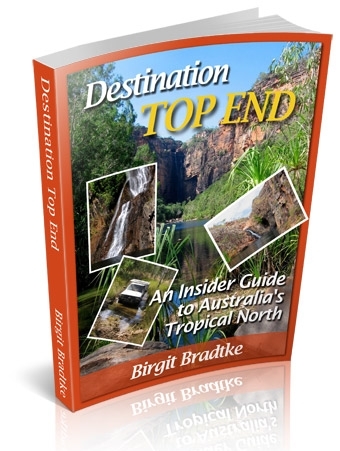 Read more about the Mitchell Falls and the Mitchell River National Park. Remote, remote, remote. So remote that I haven't been there myself. There are no public access roads, there are no visitor facilities and there are no marked walking trails or similar. This is a magnificent wilderness area. It is possible to visit, but it's certainly not for the average tourist. 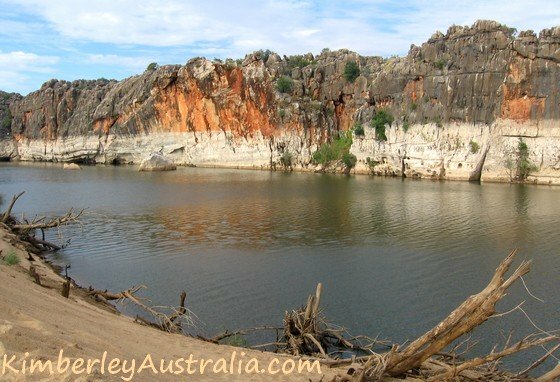 If you are not the average tourist you can find out more here: Drysdale River National Park. This very small park lies on the outskirts of the small Kimberley town Kununurra. You could say it's in Kununurra. 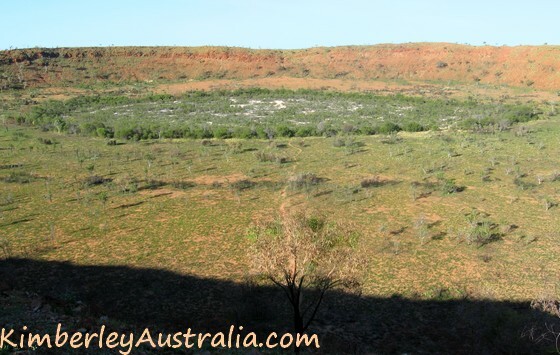 Another name for Mirima National Park is "Hidden Valley National Park". It's also the name you will hear the Kununurra locals use. Sometimes Mirima is referred to as a "Mini Bungle Bungles". The 300 million year old sandstone formations here look very similar. There are only a few short walking tracks in the park. A few hours on one afternoon of your Kununura visit is all it takes to explore this park. Could you do it on a morning, too? Sure. But the sandstone formations are at their best in the evening sun, as is the lookout over the township and surrounding ranges. The Kimberley still has more to offer beyond these national parks. Countless waterfalls, gorges and swimming holes can be found in conservation reserves and on private cattle stations. 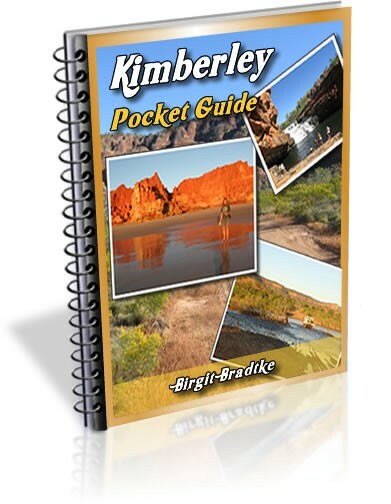 Read about the many other Kimberley gorges here.